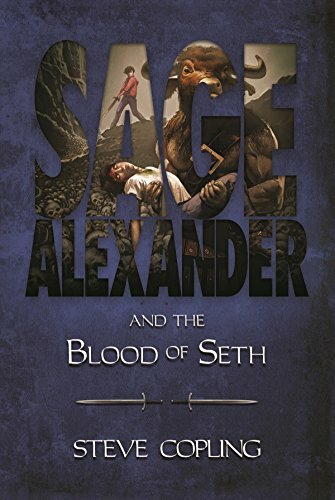 For Sage Alexander, life was forever changed when he realized that the Angelic embodiments he could always see, the magnificent heavenly powers that he possessed, and the destiny he had always been told he had to fulfill were all real and true, and that his promised powers were necessary to defeat the Seven Princes of Hell. After saving his father from the clutches of Greed incarnate and destroying Prince Mammon, Sage has come to realize his place within the Angelic Council and the world as a protector to humanity, though the prospect is daunting. Sage has only just reunited his family back on earth, however, when Belphegor, the Prince of Sloth, takes Sage’s little brother Nick out of revenge for the fall of Mammon. Sage must now venture forth yet again into that dark wasteland mortals call Hell, and retrieve what is his. Will he continue on his path to destroy the seven embodiments of sin, or will he be thwarted by Sloth, and leave humanity to evil’s devices? Join Sage, Elsbeth, Ronan, and more in the next chapter of this treacherous journey.